As my organization rolls out G Suite for Education to our eleven sites across the state, I have been scheduling several professional development sessions over the next couple of months. One tool that I will be sharing during these sessions is Plickers. The Plickers app is an easy to use assessment tool perfect for classrooms and other settings with limited access to technology. 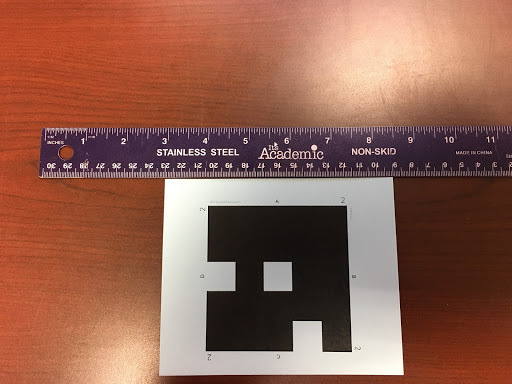 If you aren’t familiar with Plickers, please take a look at my post “Formative Assessment is the One Device Classroom” Plickers is perfect for our specialists because oftentimes were are presenting in locations that have limited access to the internet. Since presenters are at the mercy of the network admins as to what access they may be granted, it is imperative that presenters are prepared with effective tools even in the face of limited access. In preparation for this rush of presentations, I decided to create a new set of Plickers cards to stash in my presentation bag. 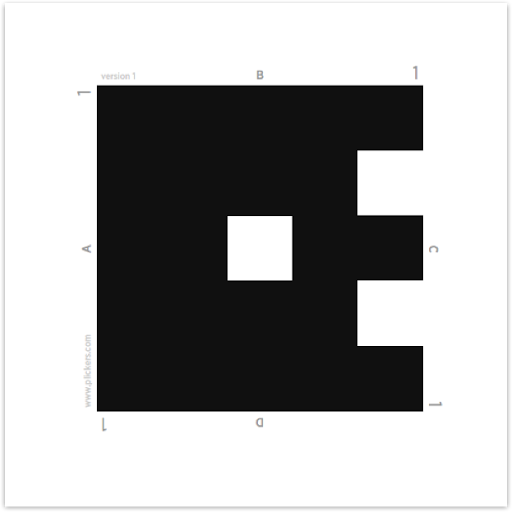 Plickers provides a pdf document of the card set is a couple of sizes. With the convenience of packing in mind, I went with the standard size for a set of 40 cards. With visions of grandeur in my mind, I first tried printing the cards directly on card stock with my desktop laser printer. The smearing that resulted made the set unusable! So, I tried another approach. I printed the pdf on plain paper using the “big” printer/copier that is shared in the office. I then loaded the card stock in the bypass tray, made an adjustment for think paper and simply copied the pdf. The results were perfect. The set will print as two cards per page so, of course, some trimming was needed. I knew that I wanted to end up with a set that was nice in appearance and that was as uniformly cut as possible. Off to the paper trimmer! Of course, a good trimmer with a measurement grid is essential. Now I had to calculate the dimensions. Cut the paper in half vertically by placing the car stock in the trimmer lengthwise with the left edge at the 5 1/2 inch mark. This will give you a half sheet with one card. Place one of the resulting cards in the trimmer lengthwise, this time with the left edge at the 6 1/2 inch mark (removing 2 inches from one side of the card). Rotate the card so that the right edge you just created is now the left edge and place the edge at the 4 1/2 inch mark. This will cut 2 inches off of the opposite edge. Next, I needed an easy way to carry the cards without worrying about creases and tears. 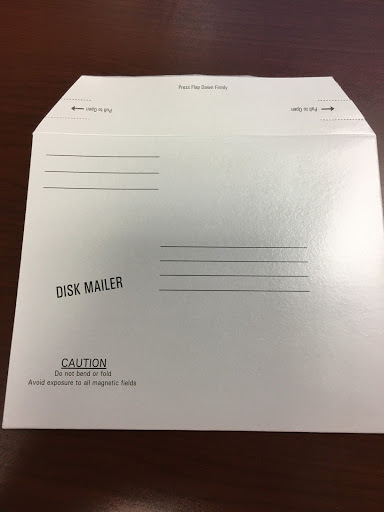 A quick look around the office and I located some leftover cardboard mailers, the kind once used to mail CDs. The entire set of 40 cards fit nicely in the mailer and the cardboard is sturdy enough to protect the cards. However, I really didn’t like the look. I scrounged around and found some Avery 5165 Full Sheet printable labels. I opened up Microsoft Word and changed the layout to landscape. I inserted a shape with the dimensions of 5.75″ tall and 7.25″ wide. I added my name and organization as well as contact information in case I leave the card set somewhere. Hopefully, a kind participant would shoot me a message, but in all honesty, if they did, I’d probably suggest they keep and use the set. 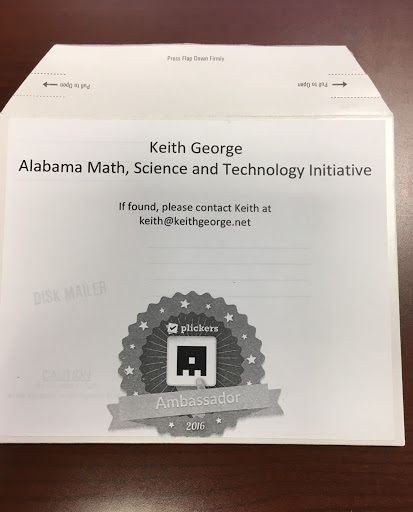 As a final touch, I added my Plickers Ambassador badge to the label. As you can see, the printing on the mailer still shows through a bit. Next time, I’ll first apply a blank label and then the printed label of it, but this will certainly do the trick. All told, this project took me about two hours, but that includes a couple of interruptions, a bit of searching for materials and the time consuming adding of the letters to the back of the cards. Two hours invested gives me a ready-to-implement assessment strategy that is always available in my presentation bag. Even if I intend to use something different but run into network issues, I can pull out my Plicker cards and immediately demonstrate a technology based strategy that will work in a pinch or everyday, especially in a one device classroom. I recently was successful in earning my Google Certified Teacher Level 2 certification. This comes on the heels of completing the BrainPOP Certified Teacher online course. I, of course, took the time to add these certifications to my biography page and it got me thinking about the value of these certifications. What do they really mean to me as a teacher and presenter of professional development? 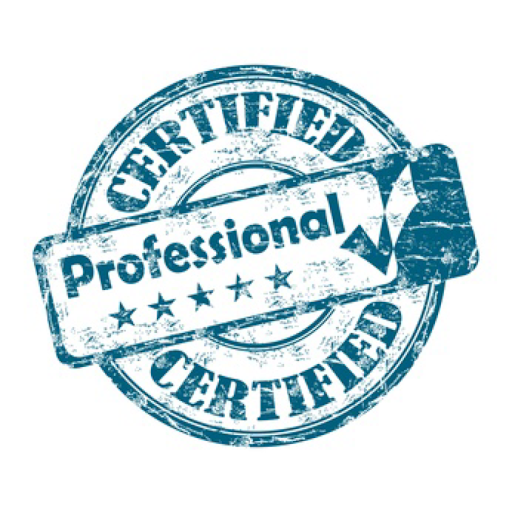 A trusted colleague often teases me about the number of certifications I hold and the dedication I display in seeking them out. He doesn’t describe it as dedication, however. He has more colorful language to describe it, but I’ll go with “dedication.” I have explained that I am an outlier. As the Educational Technology Specialist for a statewide program that serves a variety of schools and districts, I feel it benefits me to have a wide range of experience and exposure as it relates to technology integration. Would a classroom teacher need such a variety? The likely answer is no. However, they did agree on two points about certifications. First, if two candidates displayed equally impressive soft skills, then earned certifications could be a deciding factor because, and this was the second point, the earning of respected technology certifications did indicate the desire and dedication to go the extra mile to learn more and demonstrate their knowledge. I see this extra effort on the part of a teacher as incredibly important. If I were looking to add staff to serve in instructional technology, certifications would not be the driving force, but could certainly “steer” my decision. (See what I did there?) I would never hire the prospective coach that held nine certifications without a long, thorough interview to evaluate the soft skills, but the earning of certifications, does, for me, demonstrate a teachers’ desire to expand and improve their practice. Teachers that are charged with, or simply find themselves in a position that they are often called upon to share their knowledge related to technology integration should strongly consider seeking the respected technology certifications for the tools they use frequently. After all, no downsides have been mentioned and having them in your bag of tricks serve two purposes. First, if the teacher approaches the certification process correctly, it will inherently improve their practice; it will help them teach better. Second, it will likely open doors of opportunities for them- opportunities to share and present to others, for instance. If you are part of the technology leadership team for your school or district, you can easily identify those teachers that are effectively integrating various digital tools in the classroom. Take a few minutes to determine if there is a certification path for teachers on that product. If so, take the time to share the information and encourage that teacher to pursue certification. The benefits to you are obvious- more qualified teachers that can be utilized to increase and improve technology integration. By now we all understand the necessity and benefits of formative assessment. We must know where our students are in their learning so that we can be sure that they are ready for the next step. By assessing students at regular intervals, we can ensure that we know this and can adjust our lesson, either for the entire group or begin differentiating based on the results of these formative checks. In a perfect world, one in which every student has a device or ready access to a computer, there are many great options for quick and easy assessments that utilize technology to help teachers collect and analyze the results. From Kahoot! for an interactive and fun experience to Edmodo for a more structured setting, options abound for the tech heavy classroom. But what about a classroom that is sparse on technology? In this situation, Plickers may be the perfect solution. Plickers is an interactive assessment tool that only requires a single device in the hands of the teacher. Students are armed only with a simple, pre-printed card that displays a unique code, similar to a QR code. The cards can be purchased, but they also can be freely downloaded and printed by the teacher to save costs or because you simply want to get started quickly. The first step for the teacher is to head over to Plickers.com and grab a free account. Set up your classes and add students. You can do this manually, but Plickers also lets you import a spreadsheet as well. Students are assigned a number that corresponds with a particular Plicker card. Now that the students have been added, you can move on to adding questions. Note that you can add folders here and that is a good idea, especially if you teach multiple subjects. You can nest folders as well, making it easier to stay organized. Once you have your questions added, switch to LiveView on the computer that is connected to the projector. Then launch the Plickers app on your phone or tablet. On your device, select a class then go in to your library and find the questions you want to present. If there are several questions you’ll be presenting, add them to the queue. If it is only a single question, go ahead and tap Scan Now. The question will displayed on your projected computer. Students will rotate their Plicker card so that the answer they choose is at the top and will hold the card facing the teacher. You will then scan the cards in the entire room by pointing the camera of your device towards the students. You do not have to scan each card individually; the app will detect the cards automatically, even scanning them as a group! The students responses are captured and stored in the reports section of your Plickers account. You can also display the graph view on the projected computer to see live results. As you can see, using Plickers is quick and easy once you have things set up. You will add your classes and add students first. Then add questions to your library, or create them on the fly. Students respond by holding up their Plicker Cards and you capture their responses with a quick pointing of your device. It’s that simple! Plickers is a great replacement for expensive Student Response Systems and is a breeze to capture formative assessment data in the classroom but don’t forget to think outside of the box. Traditional clickers and expensive student devices might not always be the best choice for every situation. Consider capturing feedback while on a field trip. The students are outside at the nature center (or museum or on the bus heading back). It’s not an appropriate place for student devices due to the risk of loss or damage. The teacher can verbally read the question and answer choices, quickly scan the responses, and get a good idea of student understanding before you leave the site! Now that is anytime, anywhere learning! The number of valuable educational resources available on the web seems to grow by the hour. There are so many great sources of content that the challenge for today’s teacher is simply finding the best resources for their student and their classroom. That is where the concept of content curation comes in to play. Beth Canter (2011) defines content curation as “the process of sorting through the vast amounts of content on the web and presenting it in a meaningful and organized way around a specific theme. The work involves sifting, sorting, arranging, and publishing information.” This definition is almost perfectly complete, only missing one aspect- content creation is hard. And time-consuming. Wait, that is two things. I probably need to expand on my additions to Canters’ definition. Content curation is hard when it is done right. It is easy to throw together a list of links on a related topic. Curation done right is much more than that. You need more than just the link, you need information about the resource. That is why I have become such a big fan of Participate Learning (http://www.participate.com) and their content collections. Participate make it incredibly easy to add resources; there are already thousands in their database. The power comes from your ability to create a new collection around your selected topic. And if you take the time to add a review of the resource, it becomes even more powerful. Participate has included all the bells and whistles needed to build great resource collections. Resources can include apps, online videos, websites, or even uploaded files. This allows users to included everything from iPhone apps to YouTube videos to printed rubrics. This flexibility has led me to begin promoting the development of Participate collections in two different ways as a professional learning activity. When I began my teaching career it was right in the middle of the transition between the analog and digital worlds. My undergrad technology course included instruction on 16mm film projectors and opaque projectors (All you younger educators should look up that second one, it was a beast!) By the time I began my Masters work, the focus had shifted to Microsoft Office and the Internet. If you were talking internet lessons in the mid-90’s that meant Webquests. Webquests were, and still can be, effective digital lessons. You could easily design a Participate collection to serve as a guided online lesson. Start to collection with a simple document that includes the detailed instructions. This could be done by adding a link to a Google Doc or by uploading a static file. Next, find a great YouTube video that describes the concept you are looking to teach. Don’t worry about the ads or the other videos that would normally be visible if you send the students directly to YouTube; Participate will show just the video in a window inside the Participate collection. Follow this with an iPhone app that the students will use to complete an activity. Then maybe a website that the students will review for more information. Complete the collection with a link to a Google Form you have created to serve as a quiz. Creating a detailed lesson in this way is a great professional learning activity. While I have already discussed the how of creating collections, let me detail how this can serve as professional learning. When the resources in the collection include a teacher-review that details how the resource was used, it requires a level of teacher thought that certainly qualifies as professional learning. Combined with thoughtful curating of a diverse collection on the targeted topic itself requires an incredible amount of teacher preparation and is exactly what we want teachers to be doing. In fact, I’m hearing that soon resources will be able to be aligned to Common Core standards (a feature that is currently available to Participate Learning experts). One of the unsung features of Participate Learning collections is the ability for teachers to collaborate on resource collections. You can create a collection and then invite other teachers to your collection. They can then add resources to the collection. Additionally, there is a built in chat feature that allows collaborators to communicate inside a collection to discuss and evaluate the proposed resources. I have begun incorporating the curation of resources into the graduate-level Educational Technology courses I teach as well as working them in to professional development sessions I conduct. When you require more than just a basic collection of links, the curation of resources presents teachers with a challenge that is definitely worthy of professional learning credit. Nearpod, the well known and engaging presentation system, has recently expanded into the world of virtual reality. For several months, VR-ready presentations have been available in the Nearpod Library and those presentations have been used by many teachers and students with Google Cardboard-type products. 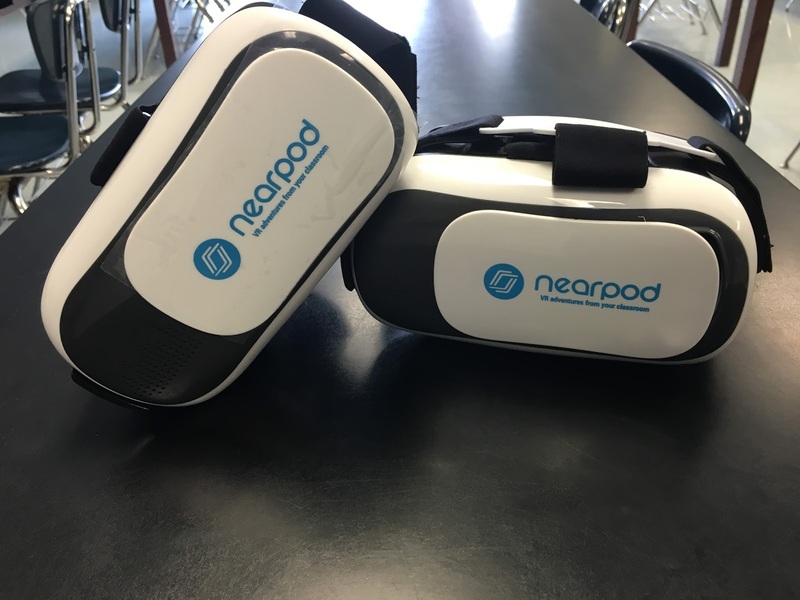 However, Nearpod recently introduced their own NearpodVR goggles in a special package for schools. They launched this new product with a grant program available to select schools that submitted video entries to earn the grant. I am fortunate that I have an existing collaborate partnership with the Instructional Technology Coach at Owens Cross Roads Elementary School in Madison County (Alabama). Davina Mann led the grant submission for the school and she recently presented a full Nearpod workshop that I was lucky enough to attend. After the obligatory, but incredibly valuable, introduction to Nearpod, she introduced the new VR presentations. If you have experienced any VR system, such as Google Cardboard, there are some similarities. In fact, the are even some Nearpod-branded Google Cardboard headsets out there in the world. But Nearpod realized that these were not rugged enough for the school environment. They seemed to realize that there was an answer out there. First, they began by creating, and partnering with other creators to create, a huge collection of immersive VR content. A quick search of the Nearpod library for “VR” resulted in too many VR inclusive lessons to count. The content variety is quite good and there are many free lessons, as well as those that are available through a Nearpod subscription or individual purchase. Next, Nearpod realized that the cardboard versions of VR headsets would not withstand the daily grind of the school environment. They also knew that school budgets eliminated the Oculus Rift and HTC Vive level of headsets. That is why they have released the NearpodVR headsets. The resources work without the headsets but the experience is much more immersive with them. After spending a couple of hours playing with several of these VR lessons, I am convinced that this type of interactive multimedia will become more and more prevalent in education. Nearpod has developed a great implementation of an educational VR experience that will engage students. The quality of the resources is impressive and so many of them are free or extremely affordable that teachers will be able to easily locate something that can be immediately incorporated into the curriculum. Check out the Nearpod VR collection by going to http://app.nearpod.com. It has been a busy couple of weeks that have been filled with many “little” things so I would like to take the time to recap. Last Friday, the first full episode of Today’s Tech Coach was released and we have hear some great feedback. The audio will be improved with the next episode! Even with that distraction, Mark Coleman (@jmarkcoleman) and I are pleased with our first effort. Mark and I discussed several popular platforms that work similar to learning management systems but aren’t quite full blown LMSs. Also in the show was an interview that I did with Jaclyn Stevens from the Friday Institute at North Carolina State University. She and I chatted about a rethinking of the SAMR model using the analogy of a swimming pool. You can check out the entire podcast on iTunes. On Tuesday, I was notified that Symbaloo has added a guest post I did on the new Symbaloo Lesson tool on their blog. Finally, as this post is being written, the annual Google I/O conference is just a few hours away. 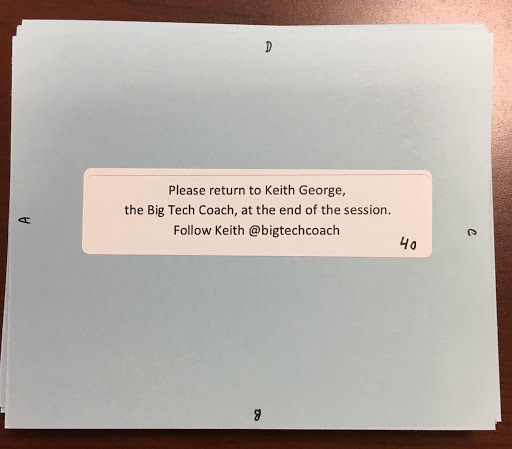 We will be watching and will bring you all the education-related updates right here on the BigTechCoach blog and in the next episode of Today’s Tech Coach. Over the past couple of weeks I have been completing the remaining requirements to earn my Edmodo Ambassador credential. This was an interesting endeavor because although I am a very frequent user of Edmodo, it is not in the traditional classroom setting. In my position with the State Department of Education, I am heavily involved in professional development for teachers. Edmodo works well in this scenario because it is web based and participants can be from any district. 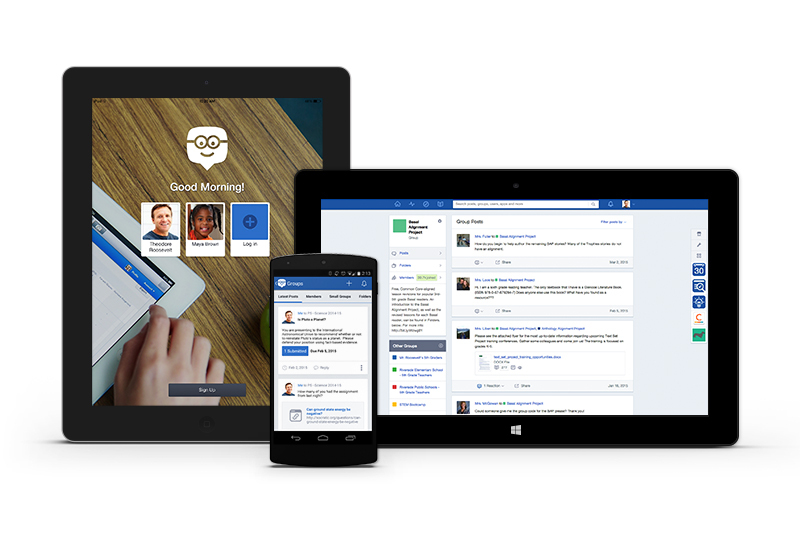 Let me walk you through a typical use case for Edmodo for professional development. The State Department of Education was set up by Edmodo as a school district. That allows us to add various programs as schools. Once teachers, in our case various State Department of Education staffers, have been added to the schools, they can create groups. Each group normally represents a particular professional development session or professional learning community. These groups can be used to completely manage the session if it is to be presented asynchronously or can be used as a supplement to a traditionally presented PD session. 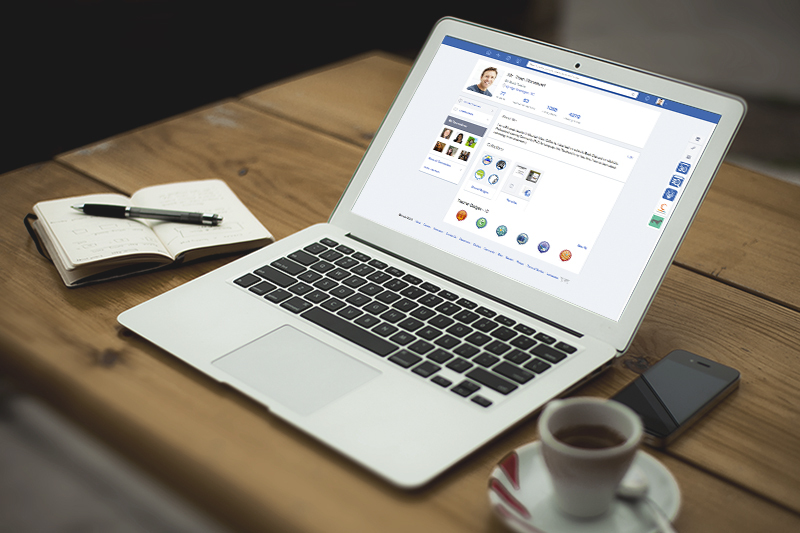 A more frequent use of Edmodo for us is as a supplement to in person PD sessions or conference presentations. The presenter of the session can preload content and additional resources into the group and referred participants to the group as a repository. However, the group could also be used during the session to post feedback, take polls to gather data and even allow for ‘back channelling discussion amongst the participants. This is made possible with the quick and easy enrollment process using group codes and the availability of full-featured mobile apps. Research has shown that one-shot PD is not very effective (Darling-Hammond, 2009), so one of the greatest advantages of Edmodo as a supplement to the traditional PD session or conference presentation is to provide the necessary follow up and extension activities to ensure teachers actually integrate their learning into their practice. Darling-Hammond, L., Wei, R. C., Andree, A., Richardson, N., & Orphanos, S. (2009). Professional learning in the learning profession: A status report on teacher development in the United States and abroad. Palo Alto, CA: National Staff Development Council and The School Redesign Network, Stanford University. It is a common refrain. You are sitting in a professional development session that the district required you to attend. The presenter stands in the front of the room droning on about the latest changes to the student information system (SIS) or the resources that came with the newly adopted textbook series. Maybe there are some text-filled PowerPoint slides glowing on the screen behind her. You wish you were anywhere but here. There may be several reasons for the way you feel. Maybe it is because you piloted the SIS and you already know all of the information being shared. But you wish there was a way to speak with someone that had been using the system for a few years to ask them how to handle more advanced tasks. But instead you keep looking forward, pretending to pay attention while slowly becoming more and more frustrated that your time is being wasted. You want to walk out. But you can’t do that. The principal is sitting right there. Of course, he is not paying attention to the speaker either because he, too, has already mastered today’s content. Suddenly, it hits you. Have you become that teacher? You know, the one that always complains when a staff meeting or professional development activity is announced. The one that is still presenting the lessons they created twelve years ago and doing so the exact same way they were presented originally. The one that the kids dread. But you know that it isn’t true. You love learning and trying new ways of teaching. You were up last night until the wee hours of the morning pinning bulletin board ideas on Pinterest. You participated in two different online chats about formative assessment last week. You spent hours this past weekend designing a new online activity for your students because they just didn’t seem to be as engaged in math as they were the previous week. So why do you feel this way? It is probably because you are being forced to sit through a session that will not benefit you. Maybe it is because you have already mastered the content or possibly it is because it doesn’t even apply to your subject area (but is, never the less, required by the administration). In either case, the problem is choice. The lack of choice is probably a better description. But what if administrators gave teachers voice and choice (two of the core principles of Project-based Learning so commonly promoted for students)? Too hard to manage? They wouldn’t do it? I have to disagree and I have some evidence to back me up. Just over 6 years ago in Philadelphia, a movement started that is sweeping the education world by simply giving teachers voice and choice in their professional development. EdCamp is an “unconference” movement that is based on teachers choosing the learning that they want to participate in and feel they need. Almost always held on a Saturday or during the summer break, EdCamps are organized by teams of education leaders. Everyone is invited and very few things are formally planned. On the morning of the event, a blank session board is opened up to the participants. Do you want to share a great strategy that you use for online assessment? Put it on the board. At the assigned place and time, you will be able to facilitate a conversation about your strategy, sharing it with others that are interested and hearing how they have done similar things. Don’t know much about digital portfolios but want to learn more? Put it on the board. The participants that show up may have experience with portfolios and will be great resources. Oh, and if you sit down in a session but quickly realize that it isn’t what you wanted or needed, the EdCamp model encourages you to get up and head to a different session. It is all about what is best for you. Are you ready to take charge of your learning? Head over to the EdCamp Foundation website and check the map for an upcoming Edcamp near you. Or better yet, come join us in Alabama. There are at least a half a dozen EdCamps each year, including the inaugural EdCamp Lake Eufaula of which I am a member of the planning team. This event will be held on a Friday in July and provides a great chance for you to attend a valuable professional development activity and then stay the weekend at beautiful LakePoint State Park. Learn more about how attending an EdCamp can make a difference in your professional practice by viewing the EdCamp video below. I just learned that the GoAnimate for Schools blog picked up my blog post on flipping PD. You can check is out at http://kdg.link/1T9RHN7.